The Loire Valley, France. It is a popular holiday region now, and has been for centuries. If you were part of the former royal family or French aristocracy you had to have a pleasure palace in this region to fit in. We can understand why, it is a beautiful countryside with a nice climate. 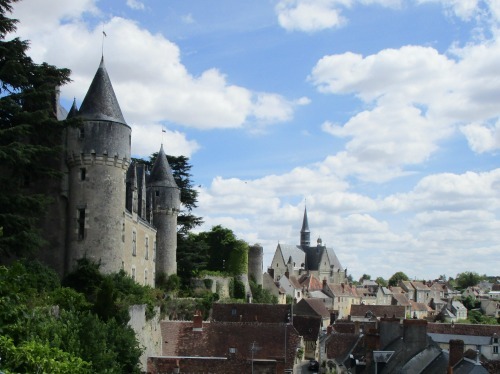 So nowadays we follow in the footsteps of the kings of France and spend our holiday in this lovely French region. 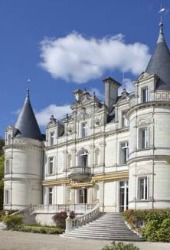 There are so many chateaux in the Loire Valley (80+), of which 42 made it to the UNESCO World Heritage list. It might be hard to choose which one to visit. Biggest palace of the valley, largest park of Europe. All Loire Valley Palaces try to get your attention and claim to have a special feature; an interesting story to tell, best furnished, biggest, and so on. Most of them have a King's room, which might indicate that a king stayed there. Not necessarily; during King Louis XIV's reign, having a room ready for the king in your palace was obligatory, just in case he might pass by. In most palaces, he never did...they are still waiting for him to visit! Fairy Tale castle of "Sleeping Beauty". Exhibition of clothes from the past. Making a best- of list is in fact undoable as each visitor is looking for someting else. 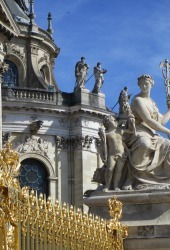 Are you interested in architecture or history, are your travelling with children. Looking for beautiful gardens, or mainly looking for a palace in the neighbourhood to spend the day. Just read this as a suggestion. Hunting dogs, Caslte of Tintin and gorgeous furniture. Home of Leonardo Da Vinci. Models of his most imaginative inventions and artefacts on display. Kids love it! The best-chateau lists in the guidebooks mainly hold Chateau de Chambord, Chateau de Chenonceau, Chateau d'Usse and Chateau d'Amboise. 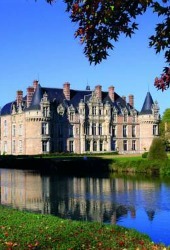 These are them most known, most popular chateaux in the Loire, and there for also the most crowded ones. I have added some smaller, less famous Chateaux on this page, where you might just have a few minutes alone in a room, just as beautifull as any Loire Valley Palace room, and imagine you are the king of the castle ( or queen of course). Home of Anne-Marie Louise d'Orléans, the Grande Mademoiselle. Fascinating History Show with 600 actors and 60 horseback riders bringing history to life. Wander through this Castle and the gardens without hordes of tourists. The château is still in its original state and looks like the family of the Polish count that lived here have just left. In fact, they didn't! The decsendants of the count still own the Chateau and live on its grounds.